Terry Glenn rented an SUV from National Car Rental. 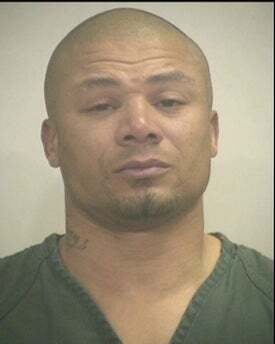 Terry Glenn did not return said SUV. That's grounds for arrest, and not likely to earn much street cred. Glenn rented the Chevy Suburban last month after he wrecked his Bentley. He left it in his driveway while he spent the holidays in New York, and at some point it was reported stolen. According to his lawyer, he got back to Texas Monday and was on his way to return the car to D/FW Tuesday when he was pulled over. That sounds really convenient, but his lawyer is pretty adamant. It is the biggest crock of garbage," he said. "It pisses me off because this is not the first person I've had to represent who the rental car companies have done this to." Though, conversely, this is not Glenn's first legal trouble (that mug shot is a year old). National should just be thankful he wore clothes in their SUV.